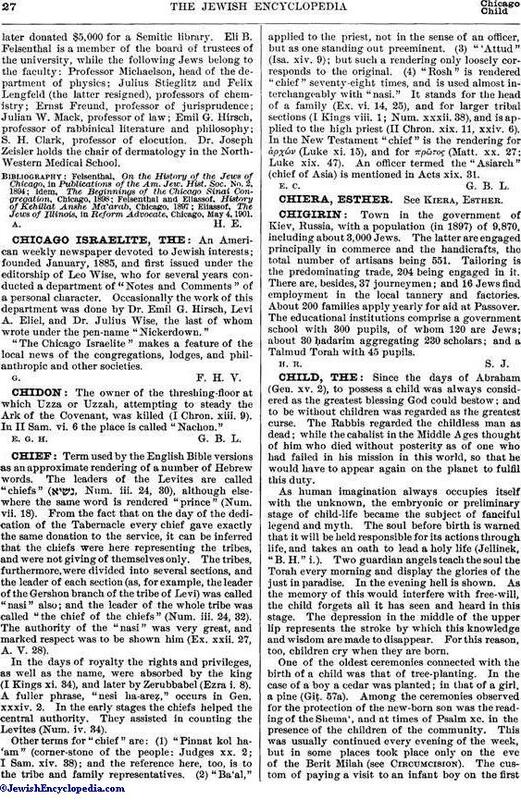 An American weekly newspaper devoted to Jewish interests; founded January, 1885, and first issued under the editorship of Leo Wise, who for several years conducted a department of "Notes and Comments" of a personal character. Occasionally the work of this department was done by Dr. Emil G. Hirsch, Levi A. Eliel, and Dr. Julius Wise, the last of whom wrote under the pen-name "Nickerdown." "The Chicago Israelite" makes a feature of the local news of the congregations, lodges, and philanthropic and other societies.